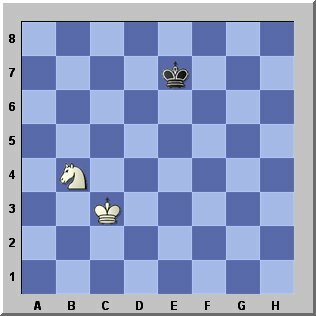 Sometimes it is necessary to force a chess draw to save the game. This usually happens when you drift into a bad and hopeless position that can't be saved by any other means. If you get a chance to force a draw by repetition of moves (eternal check) then grab it or you will otherwise lose the game. 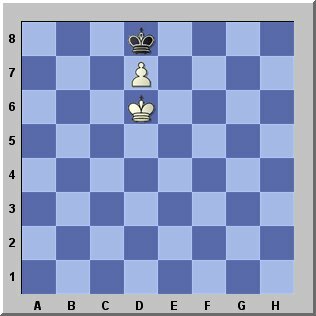 2.If the position is stalemate. 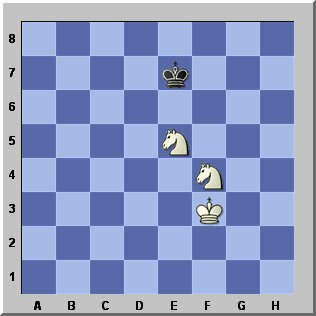 3.If there is insufficient material left on the board to deliever a checkmate. 4.If a position is repeated three times: for example eternal check. 5.If you played more than 50 moves without moving a pawn or exchanging a piece or pawn. Look at the examples below to get the idea. 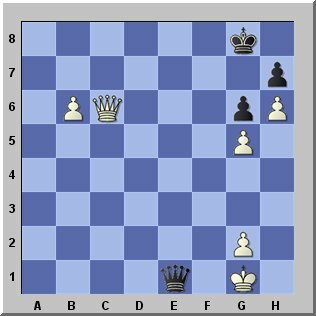 Black is going to lose so he gives repeated check, when he has reached the same position the third time it is a draw. Here is no material left to give a checkmate. 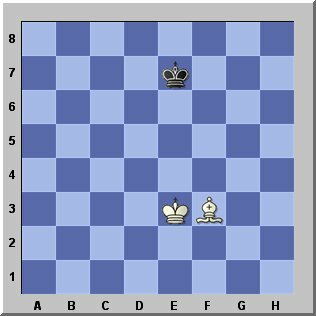 The kings cannot checkmate each other.